if you are looking at fruitcakes recipes, consider those pre-dating WW2. sugar, butter, eggs and other things were rationed during WW2 - which lead to a lot of substitutes, some quite good - some not so good. after WW2 the USA moved into the instant-everything era. post WW2 recipes are frequently "fast easy food" type approaches and frankly the precursor of the famous "X Farms" doorstop type fruitcakes. this recipe makes a moist cake - it does not keep forever - about 3 months. otoh, the fruitcake haters usually come up for another slice.... it's pretty dang good! just a heads up before you get half way thru the shopping list: it is an expensive cake to make. 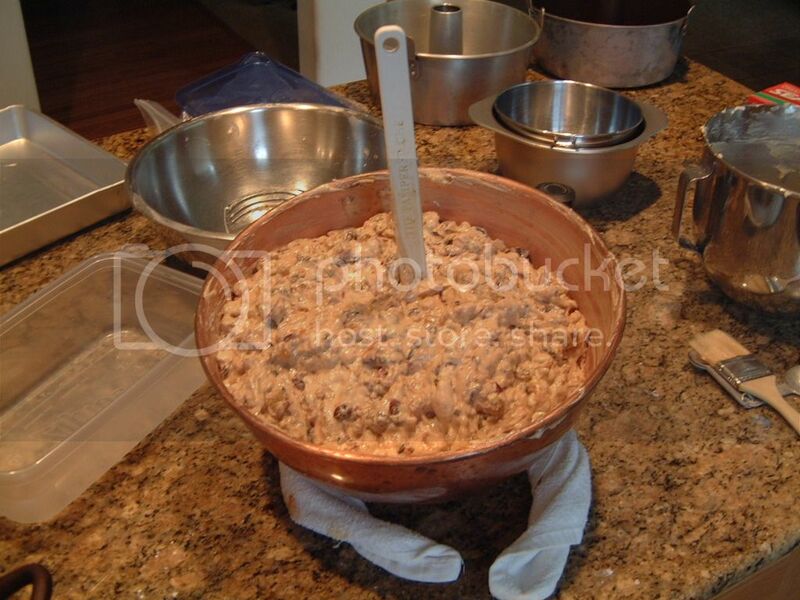 Mix the fruits, add booze, fold to loosen sticky fruit clumps, allow to stand 1-2 hours, then add nuts; dredge fruit/nut mixture with about half the flour. Cream sugar and butter, add well beaten egg yolks slowly. note: creaming is not just mixing sugar/butter together - take the creaming to the very light yellow stage - it is important in the texture of this cake. 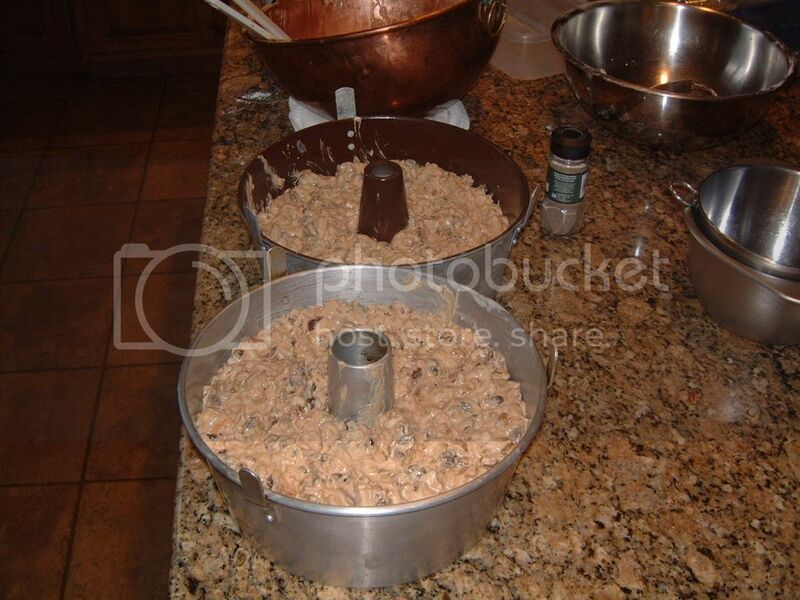 Fold into fruit mix, add remaining flour, blend thoroughly. Spoon into well buttered pan. Bake about 4 hrs at 275'F/135'C until skewer comes out clean. after minimum 20 cooling, run long thin spatula around sides to ensure the sugary bit don't stick too well. allow to cool for hours and hours; it's dense, it does not cool down in an hour; de-pan. decorate to desire - whole nuts / cherries on top, powdered sugar, etc. Cherries - if you can find both red and green candied cherries, use the color combo. 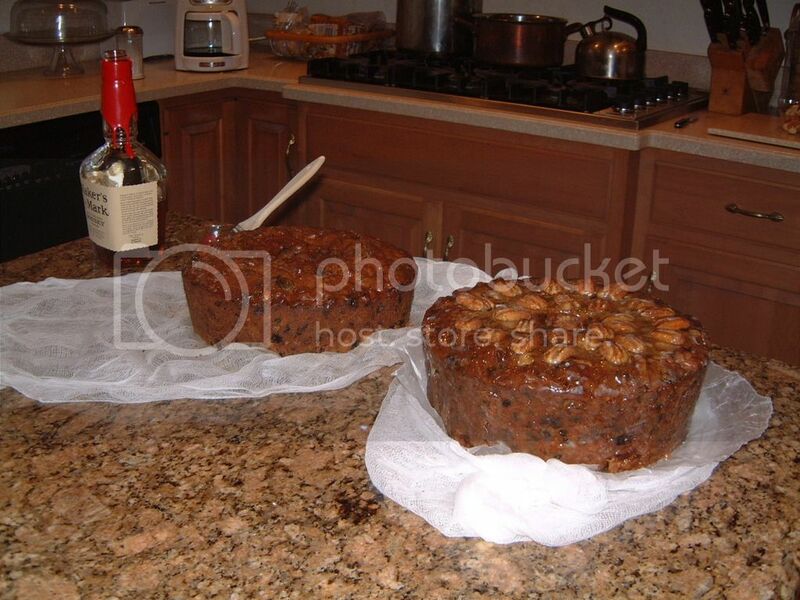 Many recipes call for (multiple) post bake brushing the finished fruitcake with booze to flavor and moisturize. 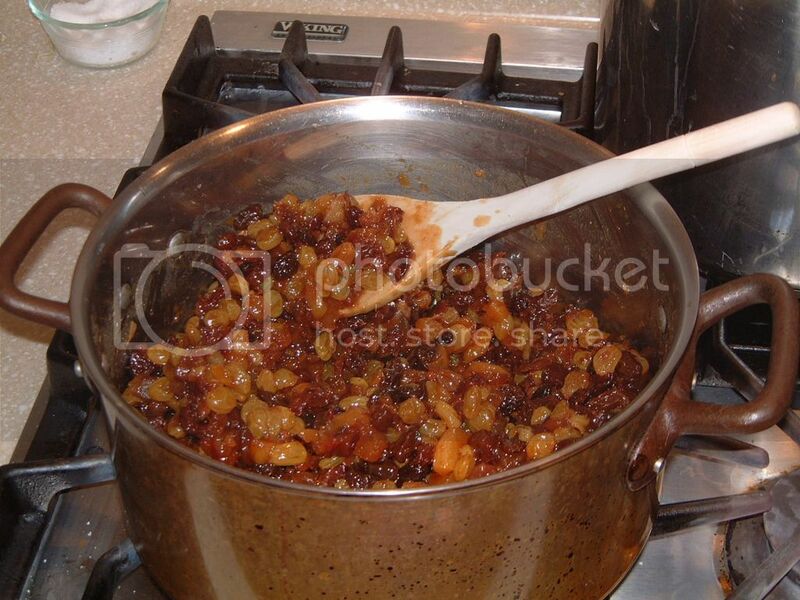 Using 0.5 cup results in a moist(er) fruitcake and further booze brushing is not needed. However, depending on how 'strong tasting' the booze is, 0.5 cup can be over-powering. for example using a strong dark rum I'd use half-cup rum + water.